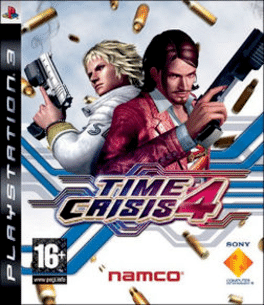 Time Crisis 4 is the fourth installment in Namco's Time Crisis series which introduces new features to the cover-based light gun shooter gameplay engine of its predecessors alongside a new story and roster of characters. It was initially released as an arcade game in 2006, and was ported in 2007 for PlayStation 3, with the Guncon 3 light gun peripheral and features a new first-person shooter mode. 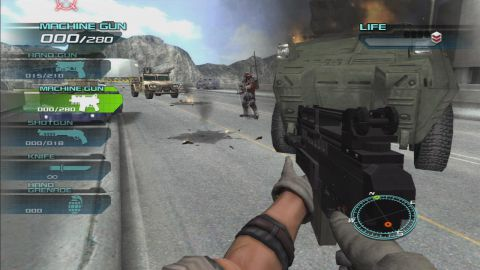 It was later re-released as part of Time Crisis: Razing Storm with support for the PlayStation Move controller but without the first-person shooter mode. There are far more images available for Time Crisis 4, but these are the ones we felt would be most useful to you. If you have specific requests, please do contact the developer!